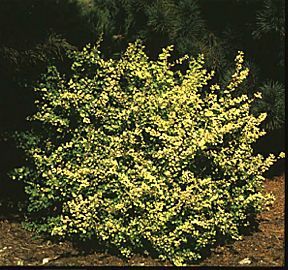 Bright Golden Yellow foliage all season long. Excellent choice for a hedge in lightly shaded areas. Also makes a fine specimen plant! May be sheared into shapes, as well. Compact habit. Fall color is scarlet-gold mix.